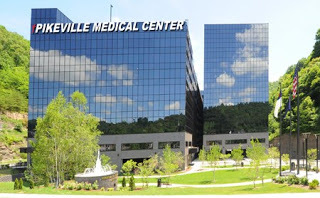 Pikeville Medical Center announced Tuesday that it would spend $7 million to relocate and expand its inpatient pediatrics clinic into a children's hospital, and establish, expand or improve nine other facilities with price tags totaling $45 million. Officials said about 200 jobs would be created. "We have everywhere from doctors to house-keeps, to valets, but our average rate is $60,000 a year," Blackburn told WYMT-TV in Hazard. The number of beds planned for the children's hospital was not announced. The hospital said it is spending $32 million, supported by a federal loan, to expand its Heart and Vascular Institute. "We're one of the top heart institutions in the state by the mere numbers of operations," Blackburn said.